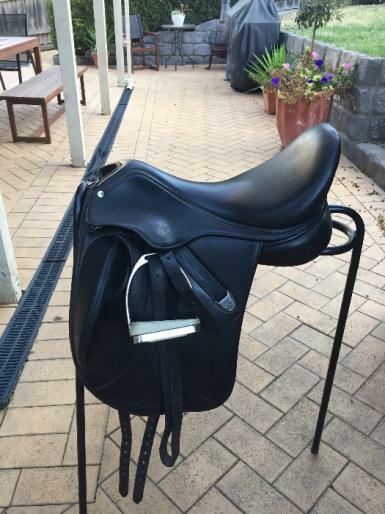 This saddle is under 2 years old and in good condition. Has adjustable Flexi Contourblocs that can be movd forwards and backwards to allow for the riders length of leg. The stirrup bars are also adjustable so the postioning of the stirrup leathers on the saddle can be moved forward and backwards also. 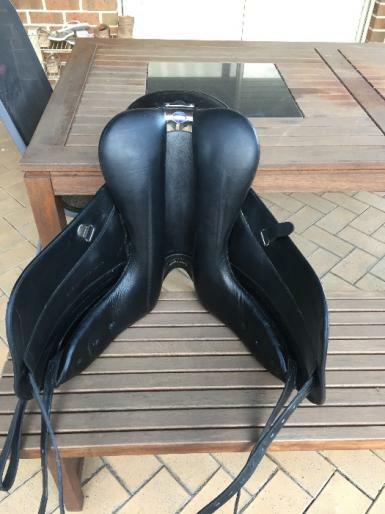 The changeable gullet has currently got a medium wide gullet in it and this saddle also has the Cair Cushion System. 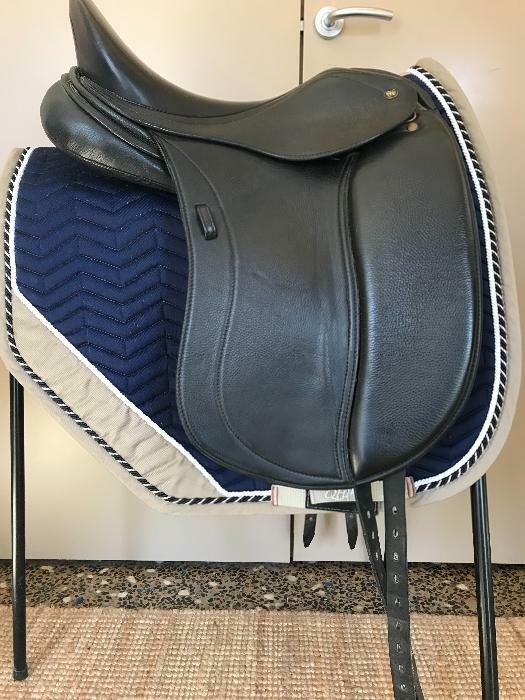 This saddle is 17 1/2 inches. 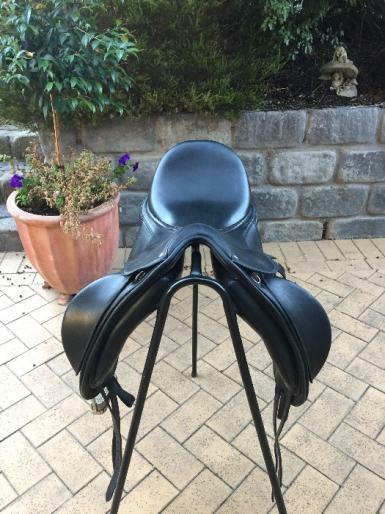 A beautiful and completely adjutable saddle that can be fitted to both horse and rider.